Refractometer – Rudolph’s Digital J57 HA – High Accuracy & J57 WR Wide Range. The J57HA and J57WR are part of the Rudolph Research Refractometer Product Line. 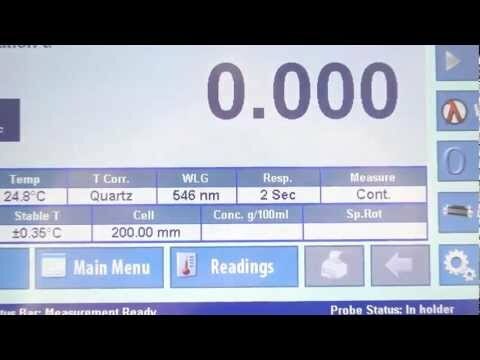 The Rudolph J57HA and J57WR refractometers are designed to meet the unique needs of food quality testing where the automatic refractometer is viewed as a quality control (QC) tool rather than a laboratory instrument. A single flat measurement surface, automatic electronic temperature control, and one button measurement capability make it perfect for heavy use food industry applications, where fast, automatic, and accurate Brix readings are required. 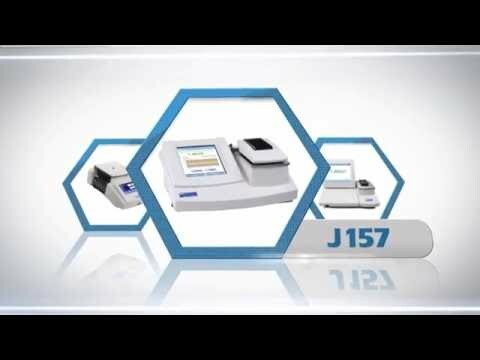 Watch a video about the Rudolph Research J47 and J57 Refractometers. Where High Accuracy is critical the J57HA Model Refractometer offers Accuracy of ±0.00002 RI and Brix Accuracy of ±0.01 with an RI Measurement range of 1.32-1.53 and Brix measurement range of 0-100. 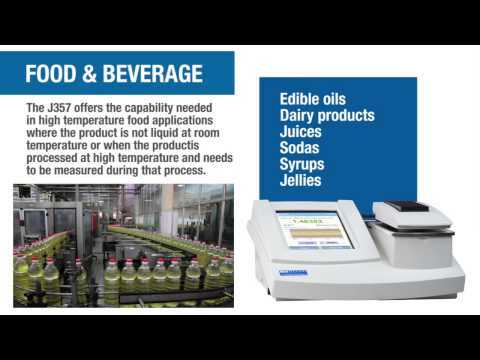 The capabilities of J57HA are designed to meet the application requirements of the Food and Beverage Industry. Where Measurement Range is most importance the J57WR Model Refractometer offers an RI Measurement range of 1.3-1.7 and Brix measurement range of 0-100 with Accuracy of ±0.0001 RI and Brix Accuracy of ±0.1. The Rudolph J57WR is an excellent fit for Chemical Industry Laboratories where applications often require a wider RI measurement range. Rudolph J57 refractometers features a fully automatic measuring system. The operator simply places the sample on the prism, presses a button and the results are displayed on 7.5cm x 10cm back lit LCD. There are no shadow lines to match and there is no eyepiece requiring operator determination or manual adjustment. The J57HA was designed for the food industry with a BRIX range of 0 – 100% and a Refractive Index range of 1.33 – 1.53 RI. The J57HA has a ±0.01 BRIX and ±0.00002 Refractive Index (RI) accuracy, which matches the accuracy of Rudolph’s best refractometers. Combined with absolute temperature control the J57HA delivers high accuracy and consistent readings, perfectly designed for rigorous Food Industry applications. Regardless of the specified instrument accuracy the real world performance will always depend on how well the instrument is cleaned between samples. The J57 refractometers address this issue by providing a very flat easy to clean measurement surface with no corners or crevices that tend to trap sugars, syrups, and other food industry samples. Traditional industry has used an ABBE refractometer either with or without a water bath. The cost of replacing the water bath and the Abbe dual glass prism over time makes the cost of owning a Rudolph Research J57 with its single sapphire prism and electronic temperature control, actually less than the cost of an Abbe over their comparable useful lives. The speed and accuracy of readings also increases productivity and reduces costly mistakes that can be potentially caused by inaccurate readings. The J57 Automatic Refractometer offers 1 or 2 point calibration. The instrument stores the date and the time of the last calibration in line with ISO and similar standards. Regardless of how many times the refractometer is calibrated it can always be restored to the default factory calibration. All functions of the J57 Automatic Refractometers are activated through a large 4.3″ 480dpi, digital, color TFT LCD touch screen. The 70mm X 75mm measure button on the J57 is designed to allow an operator wearing gloves to activate measurement with an elbow or side of a hand. The sealed touchscreen is resistant to fingernails, sharp objects, chemicals and acids. A combination of password protection and being able to lock out specific “keys” enables control over which users can access certain functions. This means that the J57 can be set up as a one-button instrument for factory environments. In today’s highly regulated environment many users find hard copy or computer record keeping essential. The J57 comes complete with an RS232 port and a forward facing USB port.